We look at the highlights from the Westfield W-League in Australia for Week 13, with Melbourne Victory and Brisbane Roar both assured of a semifinal spot in two weeks’ time, and Canberra United and Adelaide United both eliminated from the playoffs after losses. Sydney FC and Perth Glory are one point behind the leaders and only champions Melbourne City has a chance of knocking one of them out of the finals, though they would have to defeat Sydney FC away by a massive 5 goals to pip them or possibly Perth on goal difference. Melbourne Victory has two games left and are the favorites to win the Premiership (regular season title). Australian international forward Sam Kerr (Chicago Red Stars) led Perth Glory to a convincing 5-1 away victory on January 24 against the Western Sydney Wanderers, their first road win of the season (after 3 ties and 2 defeats). Kerr’s speed was overpowering at times against the Wanderers defense; she scored twice and turned provider two other times. 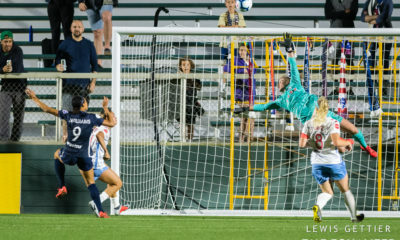 She also missed a couple of other chances to score, with Australian U-17 international Nicole Simonsen making big saves for the Wanderers, including on a first half penalty save from Kerr (see below). One of her assists was to 17-year-old Alexia Moreno, who scored in her first W-League start and now has two goals in two seasons in the league. Kerr extended her league goal scoring lead with the brace, sitting on 12 goals with only a home game left next week against table toppers Melbourne Victory. Kerr now is two tallies ahead of Adelaide’s Michelle Heyman for the league’s all-time record for goals (65 vs 63) and also holds the mark for most goals with one club (52 for Kerr with Perth vs 51 with Canberra for Heyman). Australian international forward Emily Gielnik scored in the 68th minute for Melbourne Victory to tie Sydney FC 1-1 in their eventual 2-2 draw on January 27 in Melbourne. 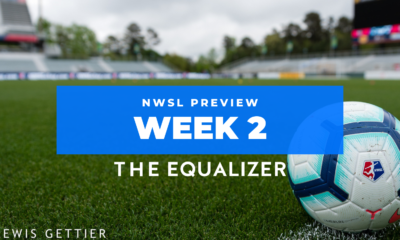 Gielnik took a bouncing pass from Natasha Dowie near the right edge of the penalty box, let it hop once, and then blasted the ball past Trudy Burke in the Sydney net for her third goal of the year. Natasha Dowie scored her ninth late in the match to ensure that Victory are in the playoffs for the first time in four years; they won the league title at the conclusion of the 2013/2014 season. Twenty-two-year-old Nicole Simonsen saved a Sam Kerr penalty kick in the 22nd minute to keep her Western Sydney side in the match, 1-0 down at that point. Simonson swatted the ball away as she dove to her right and ultimately prevented Kerr from scoring her first hat trick of the season. The Portland Thorns holding midfielder was particularly effective in helping the Roar as a defensive midfielder and relieving pressure with her intelligent passing up the field, particularly essential for a side that plays the vast majority of balls on the ground from the back rather than through long clearances by goalkeeper MacKenzie Arnold. Bourielle’s first goal of the year after 30 minutes gave the Roar a 2-0 lead and the clear advantage over Canberra United on January 25 at home, which they ultimately won 4-1. With the loss, Canberra are officially out of the race for the semifinals for the second consecutive season under head coach and former Australian international Heather Garriock. 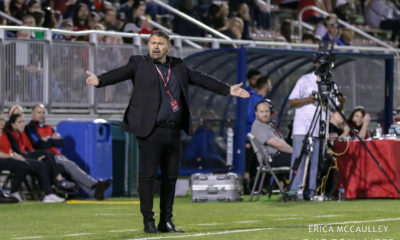 Garriock played for the Chicago Red Stars in their first WPS season in 2009 and before that had a spell in the WPSL with the Adirondack Lynx in 2006. Hayley Raso (Portland Thorns) was hugely impactful on the left wing for Brisbane and her first goal of the season was just reward for the hard work she put in to return from her back injury suffered late in the NWSL season. 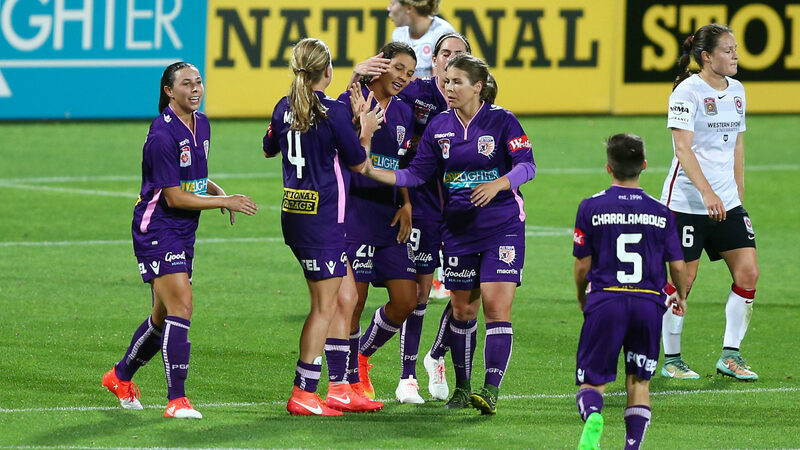 Her 19th minute goal set the Roar on their way to their 4-1 win over Canberra. Nineteen-year-old Panagiota Petratos scored her first W-League goal in injury time to give Newcastle Jets a 2-1 road win on January 25 at Adelaide; the loss confirmed that, the Reds will not make the postseason for the eleventh consecutive season, despite such a strong start to the season and posting team records for wins in a season (4) and points (15). Utah Royals loanee Sydney Miramontez missed the Perth game for Western Sydney via the concussion protocol. Newcastle’s Australian international Larissa Crummer was stretchered off in the Adelaide United game in the 21st minute with a broken tibia and was to have surgery over the weekend. Crummer led the league in scoring with 11 goals in 2015/16 with Melbourne City, but former Matildas’ head coach Alen Stajcic had seen her as filling into a central defender role for the national side and she had been in that position at times for the Jets this season. 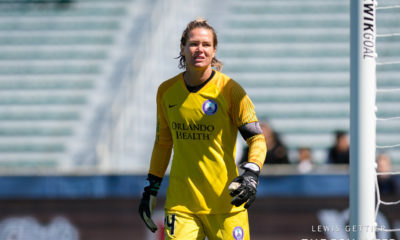 She sustained a foot injury while playing for City during the 2016/17 season and thus only played four games (with one goal) for the Seattle Reign in the 2017 NWSL season. We hope she has a swift and successful return to the field. Note: The replay of the Week 12 Canberra United vs. Melbourne Victory fixture, postponed after 16 minutes due to weather on January 17, will be replayed on Tuesday, February 5 in Canberra.